Martin Luther and John Calvin both left dramatic and lasting influences on Christianity and on European society. Their calls for reform led to theological division in the church and political conflict. People and nations believed so passionately for or against their causes that wars ravaged Europe for decades. But what exactly did they teach? 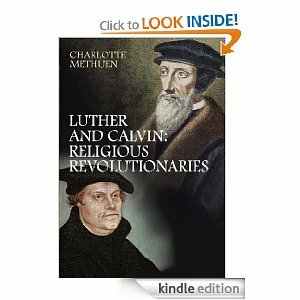 This insightful book presents Luther and Calvin in context, looking at the work and ideas of each in turn and then at the making of Lutheranism and the Reformed tradition. The author shows how the sixteenth-century Reformation began a process of political and intellectual change that went beyond Europe to the New World. The result is that today the Reformation’s influence is tangible all over the Western world. This book is an excellent introduction to two of Christianity’s most famous thinkers, and perfect for those who want to understand and engage with what Luther and Calvin thought and with the debates that surround interpretations of their legacy. Find more stuff here: Luther and Calvin.